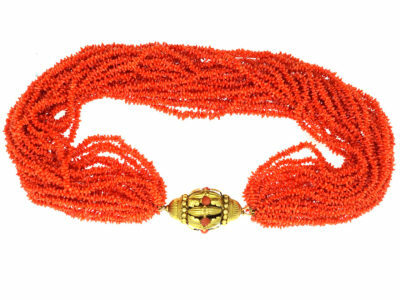 This is an amazing necklace. 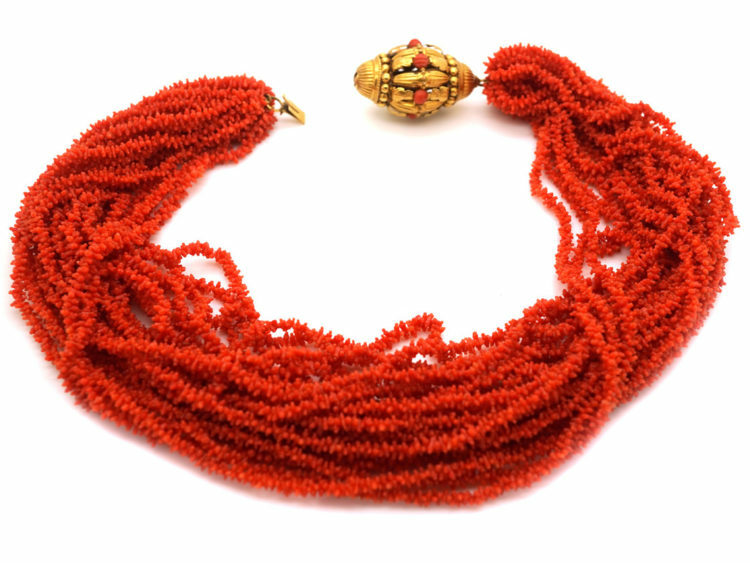 It has twenty three strands of coral. 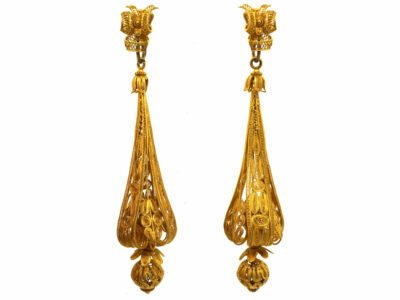 Each little piece has been separately hand carved. 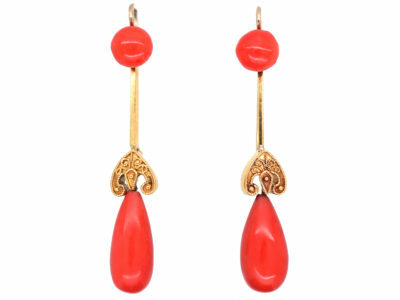 It is mind blowing that this has been done and it is so effective when worn. 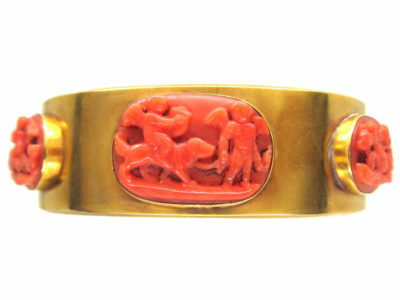 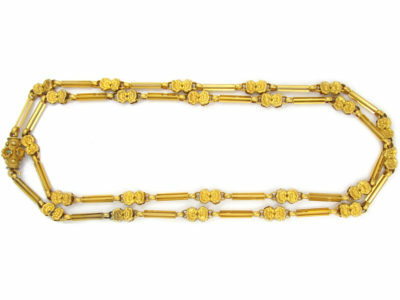 The Georgian clasp is 18ct gold. 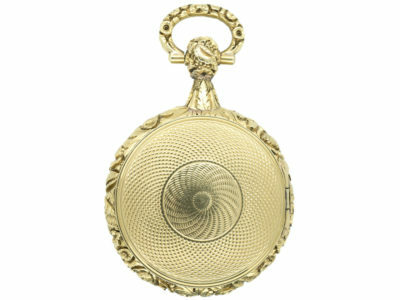 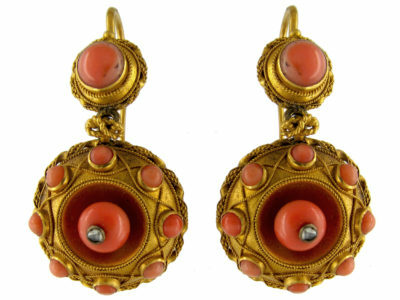 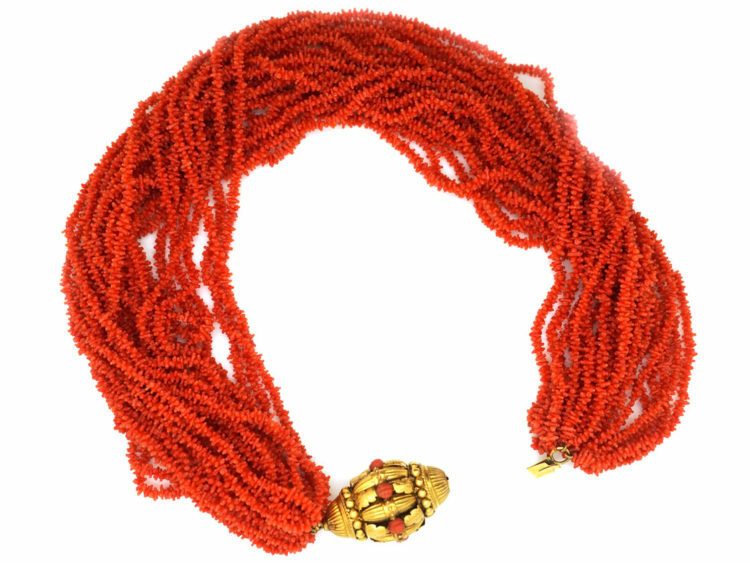 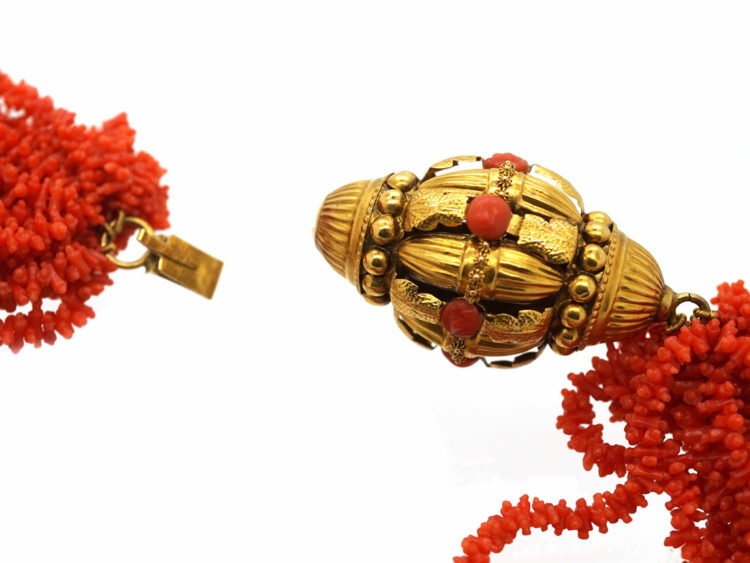 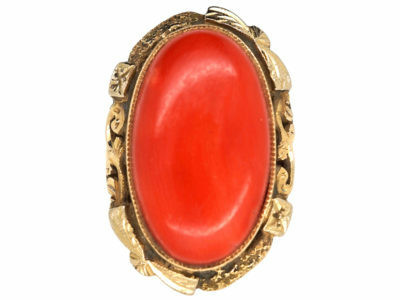 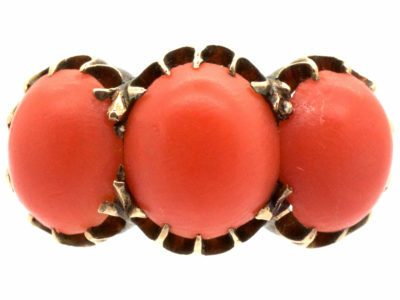 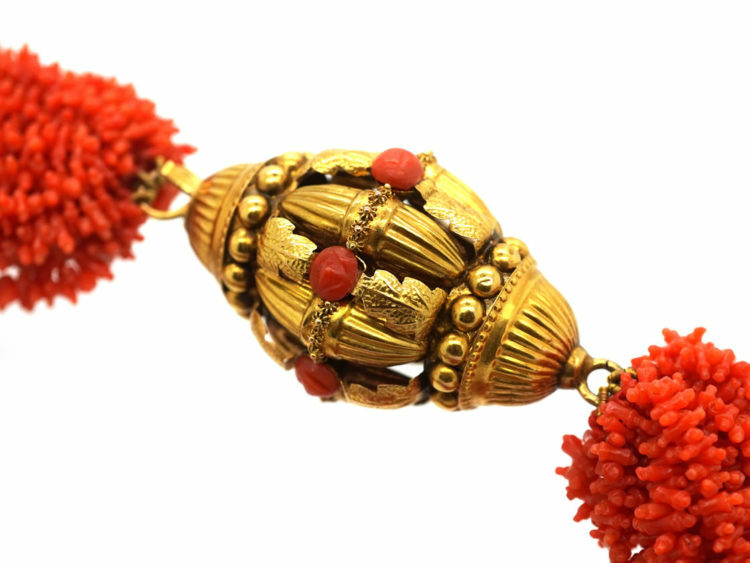 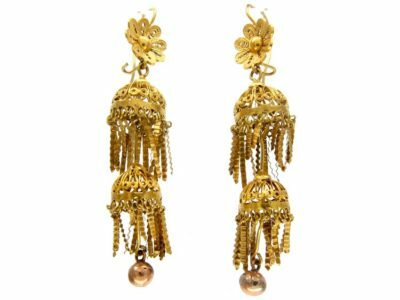 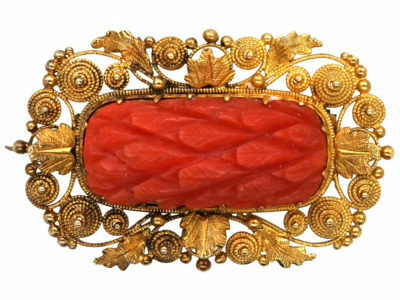 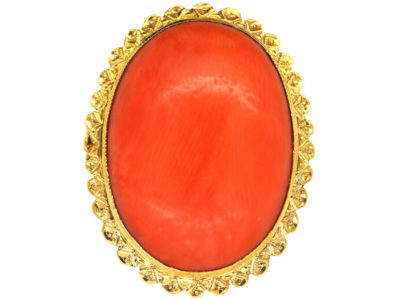 It has been finely worked with leaves and gold wire and is set with six round carved half coral beads. 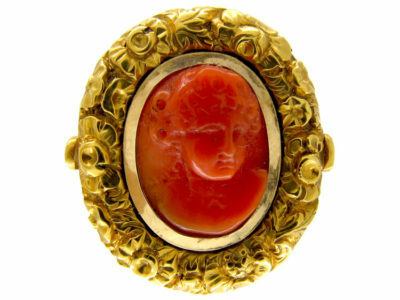 A real collector’s piece.